Overall Purpose: To manage efficient data entry, data base support and data quality services to Vectorlink County project in co-ordination with the County M&E Assistant and the overall supervision of the Vectorlink Kenya project M&E Manager. S/He will ensure timely data flow from field to the data centre, correct capture of the same in the database and reporting on IRS key indicators. · Ensure data from the field captures defined variables and is accurately captured in the database. · Coordinates with the County coordinator in ensuring that required data is timely uploaded to the database and sent to project country M&E Manager. · Training at degree level in biostatistics, Statistics, public health, epidemiology or IT related course with experience in M&E and or research. · Strong computer skills: Microsoft Office Applications. Overall Purpose: To manage efficient data entry and database support services to Vectorlink County project in co-ordination with the County M&E assistant, database coordinator and M&E Manager. S/He will ensure proper data entry and filing system for IRS and other epidemiological data collected in the field. Overall Purpose: In coordination with the Vectorlink IT Specialist and M&E manager, provide real time IT and mHealth support to the county office and county field staff as well as ensuring mHealth services and reporting across project sites. Overall Purpose: Under the supervision of the County Coordinator, support the purchase and distribution of supplies and commodities for the project besides ensuring efficient logistics support services to VectorLink County Operation sites stores and supervising Storekeepers. · Provides logistical support for project activities, including spray operations, transport, events such as workshops and meetings, etc. · Ensure vehicle daily use sheet is completed accurately by drivers. · Ensuring regular follow up of the hired project vehicles in the filed plan for any requirement for programme activities in liaison with the County Coordinator and Supply Chain Coordinator. · Oversee the collection of used bottles of chemical and PPEs and ensure sorting and storage of same in County central stores. · Plan and organise daily and weekly projections of logistics needs and movement. · Ensure regular restocking of insecticides and other materials is done on time and before stock runs out. · Minimum Vocational training in logistics, procurement, supplies and management. · At least 2 years plus 6 months supervisory experience in handling basic Logistic and procurement issues in an established organization. · Membership of a recognized Professional Body i.e. either CIPS – UK or KISM would be an added advantage. · A certificate of good conduct may be required. · Knowledge of USAID procurement rules and regulations a plus. · Demonstrated experience using Microsoft Office Suite applications including Excel, Word, and Power Point preferred. · Ability to understand and interpret policies and procedures as well as the ability to apply them with consistency in a variety of circumstances. · Willingness and flexibility to work long hours. Overall Purpose: To assist in the management, receipt, delivery, and inventory control of items at the VectorLink’s project warehouse. · To assist in overseeing daily operations of warehouse and maintain inventory system at proper levels. · To ensure proper storage and identification of all items. · To inspect commodities received in the warehouse to verify quality and quantity of items delivered. · To keep track of receipts, records and withdrawals of all IRS related commodities in the Warehouse. · Follow up on supply requests from operational sites and liaise with the Warehouse Manager and operations sites managers to monitor progress. · Assist warehouse manager to ensure proper material and equipment storage to avoid damages and ensure rotation of short shelf life items. · Completion of certificate or diploma level in relevant field. · At least 6 months experience working as a stores assistant desired. · Good communication skills including spoken and written English and Kiswahili, local languages are an added advantage. · Processing payments and post-payroll activities, identifying errors and resolving them. · Proficiency in English and Kiswahili. 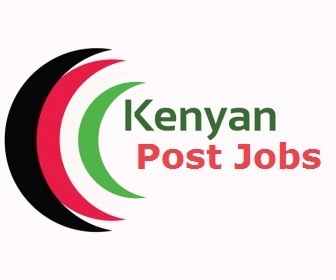 Overall Purpose: The major purpose is to support the Country Finance and Administration Manager in collecting the required information from county sites for processing payment of sub-county spraying staff in addition to observing proper accounting procedures, systems and internal controls in Sub-county field stations. · Ensuring that the daily work logs are completed and submitted by team leaders and supervisors. · Obtains and maintains personal information from all county spray teams which is used in administering their pay e.g. ID number, telephone numbers, etc. · Compile team member payroll data and other records to ensure the timely and accurate disbursement of payments; calculate wages, and pay adjustments in the payroll process. · Assist in review of the financial data from field stations by verifying the accuracy of information/support documentations and reasonableness of costs. · Organize the financial document filing system for the county. · Maintain strict confidentiality as it relates to all information. Overall Purpose: Under the supervision of the Environmental Compliance Officer, ensures the project’s mitigation measures are implemented and that the project is implemented in an environmentally compliant manner. They are responsible to ensure that both local and international regulations are met at all operational sites in the county. · Ensures that the IRS seasonal workers and the beneficiaries receives IRS key messages and are well informed of what to do before, during and after the houses are sprayed. · Ensures all the operational sites are well branded with relevant warning signs and procedures and are well equipped for fire and insecticide spill response, if such cases arise. · Works closely with storekeepers to ensure all the occupational Health and Safety procedures are followed. · Works closely with operation sites managers and supervisors to ensure insecticide mixing procedures are followed and that the insecticides containers are well rinsed, uncapped and well stored for disposal. · Ensure drivers are well sensitized on precautionary measures to take while transporting spray teams and procedures to take in case of an accident. · Ensures health workers representatives from all health facilities are trained on how to handle the adverse reactions and insecticide poisoning. · Oversight of waste management activities during IRS operations (waste segregation, storage and transportation) to be sure that wastes are managed responsibly. · Additional professional training in Environmental Impact Assessment/Environmental Assessment or any other relevant field. Overall Purpose: The Community Mobilization/IEC Assistant will assist in coordination and implementation of project related community mobilization activities in the County under the supervision of the County Coordinator and in coordination with the IEC Coordinator. S/He will facilitate all community mobilization, branding/marking and communication activities in the said County working closely with the local authorities and leadership to position PMI Vectorlink pre and post spraying activities. · Ensure strengthened partnerships and collaboration between Sub County Partners and other like-minded partners working in the area. · Maintain an inventory of IEC materials received and issued and track their movement. Make timely, appropriate requests to ensure constant supply of material needed for IEC activities. · Maintain proper records on County IRS Community mobilization and IEC activities. · Work closely with storekeepers to ensure IRS IEC materials are well tracked and records well kept. · Participate in community surveys that are to be conducted. · Conduct quality control and assurance checks to ascertain community mobilization and communication work is done to agreeable standards. · Provide updates and analysis of key developments in targeted thematic areas. · Organize and participate in community sensitization activities and ensure that minimal or zero refusals to IRS is experienced. · Vocational training plus one and a half years’ experience in the area of community development, social sciences or other related discipline. · Must have had two (2) years supervisory experience preferably in monitoring and community mobilization. · Conversant and able to communicate in the local language, Kiswahili and English. · Advocacy related skills would be an added advantage. · Ability to work under pressure and independently with minimum supervision. · Ability to train on heath related issues. Overall Purpose: To manage efficient data quality and reporting across the Vector link Country project sites in co-ordination with Vector link project M&E Manager. S/He will ensure timely data flow from the field to the data centre, correct capture of the same in the database and reporting on IRS key indicators. · Coordinate with the data centre to ensure required data is uploaded to the database and updates sent to project country M&E Manager in a timely manner. Overall Purpose: To manage efficient data entry, data base support and data quality services to Vectorlink County project in co-ordination with the Roving M&E Assistant and VectorLink Kenya project M&E Manager. S/He will ensure timely data flow from field to the data centre, correct capture of the same in the database and reporting on IRS key indicators. · Coordinate with the data centre to ensure required data is timely uploaded to the database and updates sent to project country M&E Manager. Interested candidates are encouraged to send a cover letter and updated CV to Kenya_IRSJobs@abtassoc.com with the title of the position being applied for in the e-mail subject line e.g. “County Monitoring and Evaluation (M&E) Assistant” and specify the location/ward preferred by COB Wednesday, September 12th, 2018.